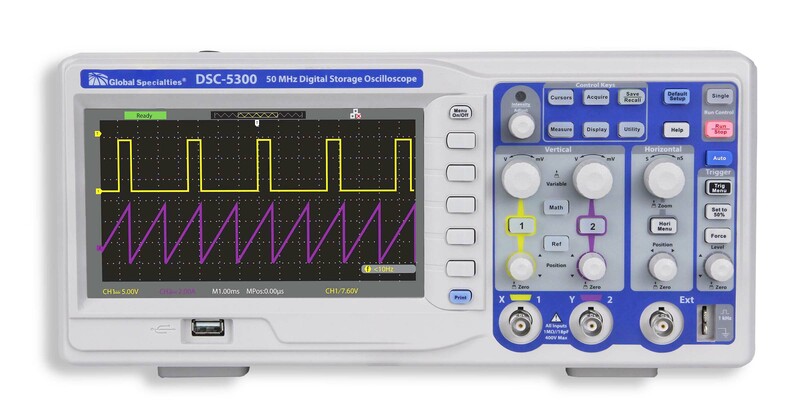 The Global Specialties DSC-5300 Digital Storage Oscilloscope (DSO) is a portable benchtop instrument used for making measurements of signals and waveforms. 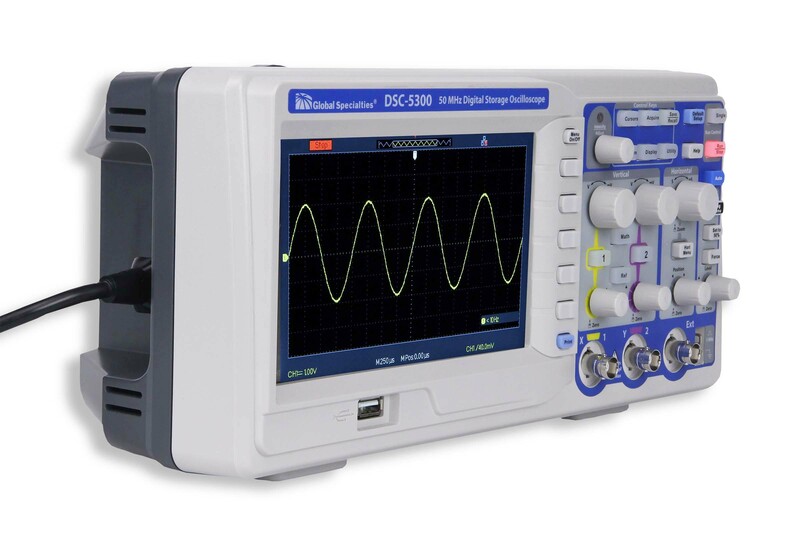 The oscilloscope offers two channels and a bandwidth of up to 50 MHz signals. 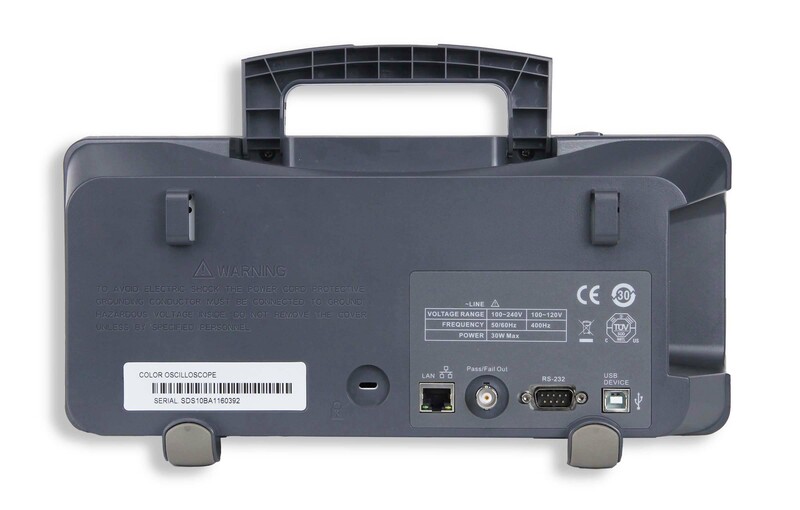 With a real time sampling rate of up to 500 MSa/s and 32 kpts of deep memory, it provides high signal detail for analysis and display on the 7" color LCD display. The LCD offers clean, crisp color viewing of the two channels whose colors match the vertical control menu. A USB port enables you to save or load scope settings, waveform screenshots, and .csv data files. 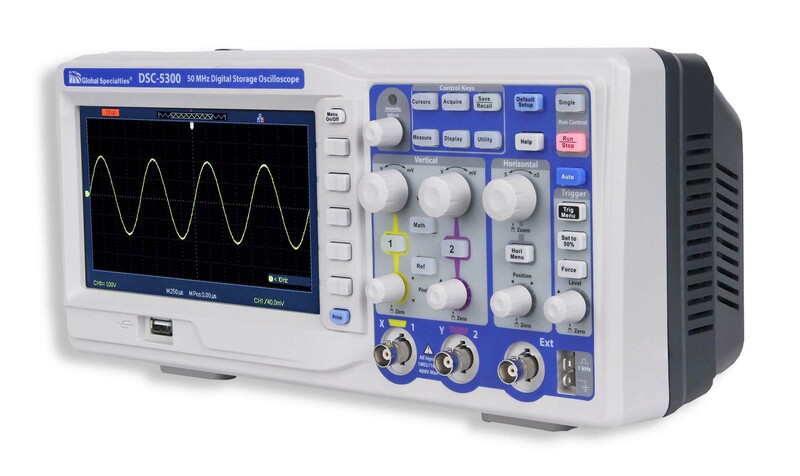 You can also save or load to and from the scope itself using the 10 internal locations for waveforms or 20 locations for scope settings.